Think of a virus, and you’ll likely think of an infection – Ebola, HIV, mononucleosis. But in actuality, the viruses that infect humans make up an infinitesimally small percentage of the total number on Earth, now estimated to be in the range of 10^31. Neither truly “alive” nor “dead,” viral particles are miniscule but complex pieces of machinery whose evolution has become intricately entwined with ours. 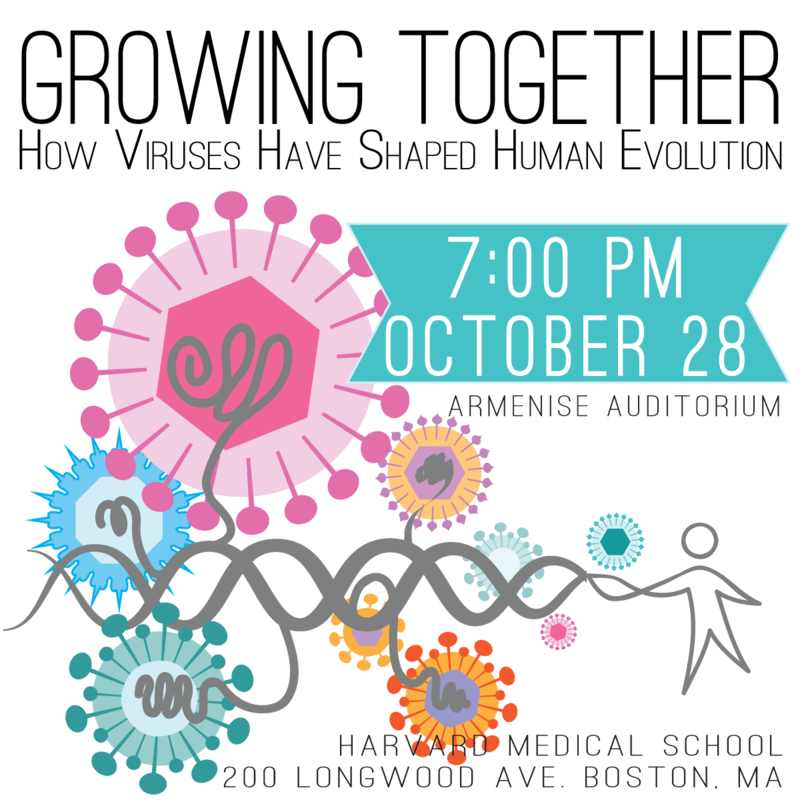 In our lecture, we will explore how viruses have shaped our history, down to individual base pairs in our DNA, and how we are now learning to harness their incredible power to develop new tools in genetic engineering.